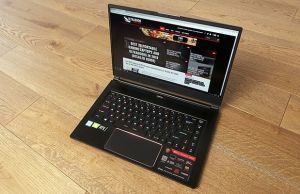 When thinking of laptops produced by MSI, their black and red gaming notebooks are likely to be what comes to mind. 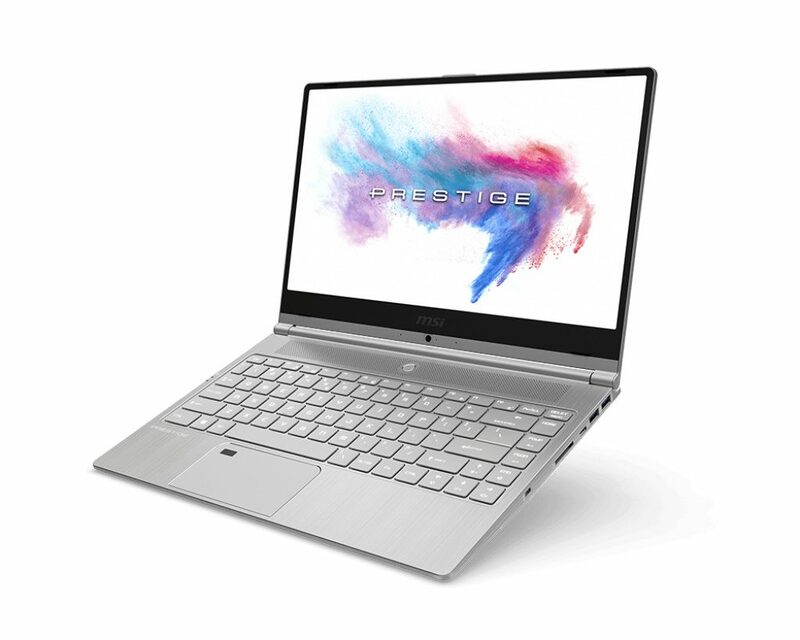 However, MSI has been producing white and silver business-and-café-friendly models under their Prestige brand for a little over three years now. Normally the Prestige models used similar designs to their gaming counterparts with the color scheme, trim, and RGB lighting being the biggest differences. However, at Computex 2018 MSI has introduced the new Prestige PS42, a 14-inch ultrabook that is unique from its black and red brethren (although there is a similarity to the super-slim gaming powerhouse MSI GS65 Stealth). The PS42 has a “hair-brushed” aluminum chassis that measures just 16 mm (0.63 inches) thick and weighs only 1.19 kg (2.62 pounds). The full dimensions are 322 x 222 x 16 mm (12.68 x 8.74 x 0.63 inches). The bezels on three sides of the screen were shrunk to 5.7mm to reduce the footprint. Unfortunately, this has also meant that the top bezel isn’t large enough for standard webcam placement, so this one has been integrated into the chin like on the Dell XPS 13, LG Gram 13 and Gram 14. Powering the PS42 is an Intel i5-8250U or i7-8550U, both four-core eight-thread Core U-series processors, paired with Nvidia MX150 graphics card, the entry level Pascal GPU that gives a good boost in GPU accelerated tasks and can handle light gaming or more intensive games at lower quality settings. Importantly, MSI also indicates that this is the 25-watt version of the MX150 rather than the lower powered 10-watt version, since this will have a more than 30% impact on clock speeds. 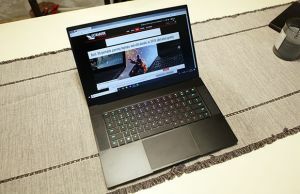 In other words, the MSI Prestige PS42 is one of the few ultraportables with the full-power version of the Nvidia MX150 GPU and a close competitor for the popular Asus Zenbook UX430UN. While it is common to see dual-fan cooling on ultrabooks with dGPUs, they tend to share the same heatsink and either one or two heat pipes. MSI’s gaming heritage shows through in the cooling system here though. The PS42 still has two cooling fans, but these are split between three distinct heat pipes: a two-heatpipe ensemble for the GPU, and a separated heatpipes with its own radiator for the processor. This stops thermal creep from one component hindering the cooling of the other, but it can also lead to other problems if a single fan isn’t enough to handle the load. There is a single SODIMM slot that can support up to 16 GB DDR4-2400. 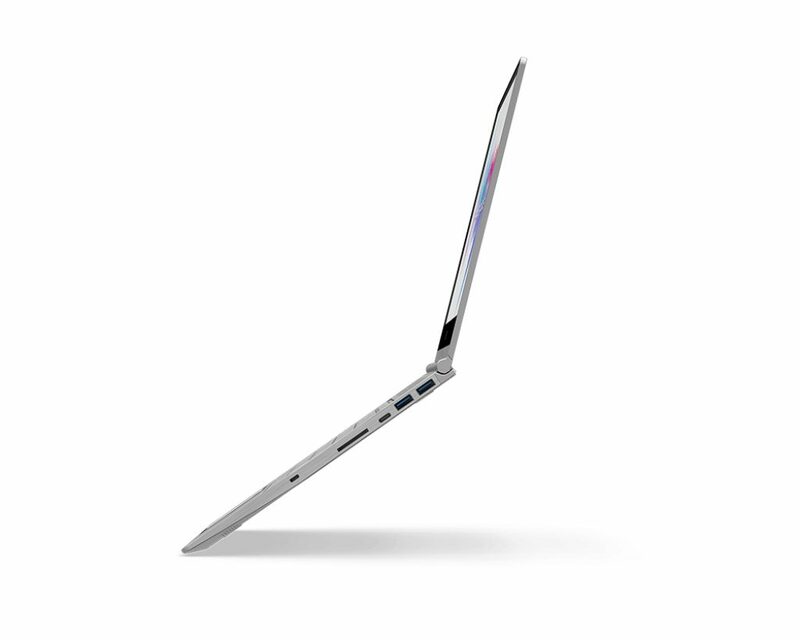 16 GB is a decent offering on an ultrabook since many come with just 8 GB of soldered on memory, but the single slot does mean we lose the benefits of dual-channel operation. There is 1 x M.2 slot that supports SATA or NVMe drives. Wireless 802.11ac + Bluetooth 4.1 comes courtesy of an older Intel 3168. The ports are 2 x USB3.1, 2 x USB-C, HDMI, SD card reader, 3.5 mm audio, and DC jack. MSI claims the 50 Wh battery will give up to 10 hours of battery life, but we think this is a little ambitious under normal usage given the 14-inch display and dedicated graphics that will kick in from time to time. The charger can provide 65 watts, standard for a U-series CPU with dGPU. The MSI PS42 is available in stores around the world. 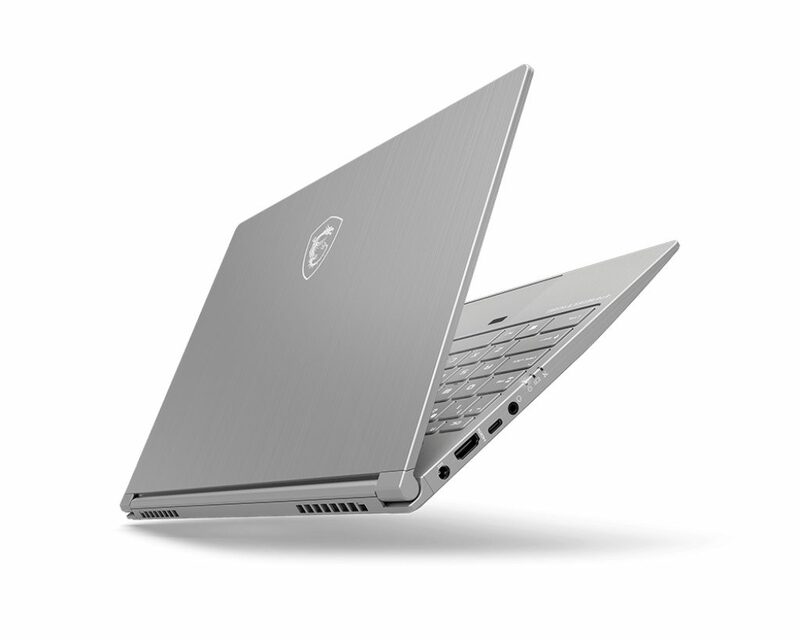 The base version with the i5-8250U CPU, 8 GB of RAM, 256 GB SSD and no dGPU starts at around $900 in the US, while the i7-8550U model with 16 GB of RAM, 512 GB SSD and the MX150 graphics goes for around $1300. Follow this link for updated prices and configurations at the time you’re reading this article. Hey, thanks a lot for the article!